Srinagar, Apr 8: Civilian traffic was resumed on Monday after remaining banned on Sunday to allow free and secure movement of security force convoy on the national highway, the only road linking the Kashmir valley with the rest of the country. However, ban on the civilian traffic movement on the highway twice in a week—Sunday and Wednesday- evoked sharp reaction from leaders of mainstream political parties, separatist, traders, transporters and common people in the valley. 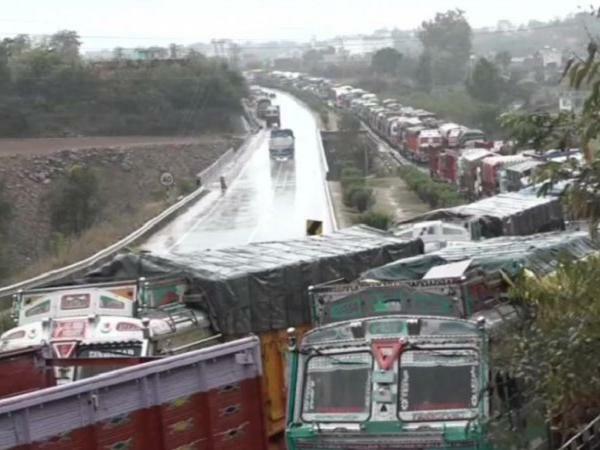 On the first day of ban on civilian traffic on Sunday (7-4-2019), leaders of different political parties staged a dharna on the highway, demanding immediate withdrawal of the ban order. We have allowed only one-way civilian traffic on the highway today, a traffic police official told UNI on Monday morning.